This summer we did something completely different and went Urban for a few days. The funny thing was that we were as uncomfortable and out of our ‘zone’ in this setting as regular city folk are when the go into the wilderness. So although we took some strain with navigating our way through this environment, it still had the same adventure elements that we so love to experience. 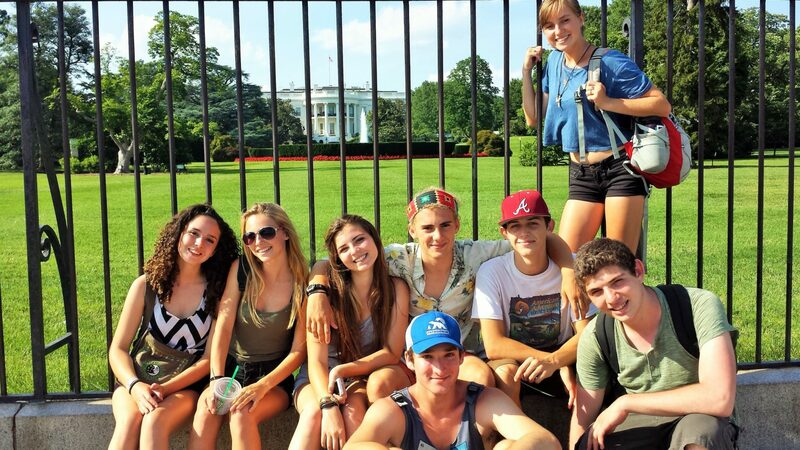 For this trip we got to explore around Washington D.C which is such an interesting and crazy city to visit. We stayed at a campground within subway striking distance from downtown. Usually when we start a wilderness expedition the team knows what they need and how to make it all happen – from navigation to getting water and simple things like using the woods if you need to go. But in the city this all changed. Suddenly we got stressed out trying to figure out buying subway tokens or passes and where to get on or off and which line do we take. On our first time in we actually lost 2 team mates who didn’t get off the train in time. So wow – they just disappeared into the darkness of the train tunnel and were gone! We reconnected thanks to the marvel of technology and our phones became a major tool for figuring out this entire environment. We could navigate with them, find each other with them, find places we needed to go, get information about anything we were looking at, and the list goes on. Smart phones are way more useful in the city! A tour of the Capitol Building – very impressive with so much to see and do, plus the air conditioning was worth the entire visit as was their restaurant! Getting to see the White House – for some of us this was our first time seeing this famous house and it’s always exciting to be right there. Getting a feel for our nations capitol city and what it’s like to be there. Using google maps to navigate the city as a pedestrian – it’s a game changer and so fun. We found the app even zooms into museums and then you can navigate their too on your phone. Using Barnes and Noble bookstores to get out of the rain and simultaneously re-charge your smart phone. Summer was entirely spent with a paddle in hand. 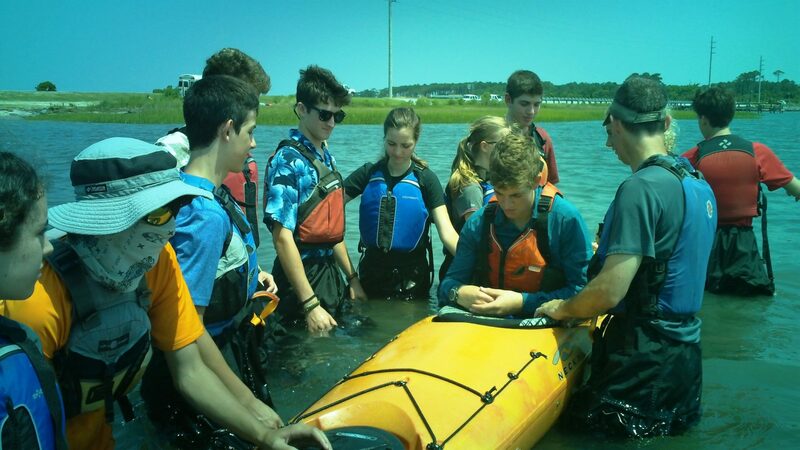 The Older Group stepped up into a totally new environment and adventure taking on the NC Outer Banks in sea-kayaks! The Younger Group took on the classic New River expedition in fine style. This was our first ever TAASC adventure to the Outer Banks and for those of you who have never been there let’s just say, “‘It’s not for sissies!” The group learned a whole new skill set in terms of paddling and living out of an ocean going sea-kayak. It gets technical whenever you’re facing the ocean and we had a whole range of challenges to navigate. Bugs, hot sun, saltwater, wet gear, and fierce wind’s coming right as us from the south west – these created some exciting seas and we had to dig deep to make it across some of the crossings as we island hopped our way south towards Cape Lookout Island. From there we spent a day relaxing and exploring the Lighthouse area and then we spent the next few days paddling north along the Core Banks. The students really stepped up to the challenges and had to work hard as a group to succeed. This group has a natural way of sharing leadership and so depending on the energy, fatigue and situation, someone always stepped into that space to provide inspiration, direction and motivation to get ‘er done! The Younger Group similarly had to work hard to successfully make it down the almost 50 miles of river. This section of the New River features several exciting class 2 rapids and there’s long sections of beautiful wilderness. This group specializes in having fun though, and I think someone worked out that we ran about 40 miles over the duration of the trip playing capture the flag! All expeditions develop a unique flow and this one was wonderful. Each day we’d wake up, cook breakfast and load up the boats and paddle down the river. The simple life at it’s best! These kids had to work for it though, as the list of important chores and gear to take of takes most of the time. These summer trips are pure gold in terms of accelerating the development of a child (or adult too!). The continued practice at taking care of their gear, learning how to pack and unpack, manage their food ration, cook and clean up, set up and maintain campsite and of course all the skills needed to navigate the river and stay dry! Leadership is inevitable for these young folks. No matter what level they are at in terms of personal development and skills, they all reach the place of being able to help a member of their crew out and look after each other! Are your kids looking for Adventure? Any new interested kids and parents are welcome to join us at one of our regular meetings to find out more about TAASC! It’s the best way to see what we’re about, meet other students and see if it’s something you want to be part of. TAASC is an exciting and innovative year round outdoor leadership, adventure/service program that allows students to develop confidence, group awareness, leadership skills and personal responsibility, all the while having fun with new friends. Join TAASC for adventure and get out and play: climbing, paddling, hiking, caving, mountain biking and helping others through service. Co-ed and open to students aged 8 – 18. Weekly meetings – students meet once a week to learn outdoor and personal development skills and prepare for upcoming trips. Weekend adventures – each age group participates in a weekend wilderness adventure or community service project each month. 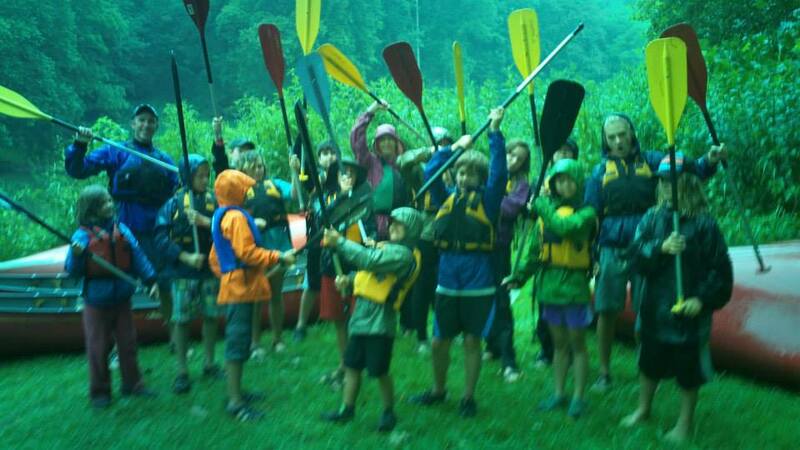 We do fun activities like climbing, paddling, backpacking, caving and service projects. Summer expeditions – 5 and 10 day wilderness adventure trips. Rolling admission – join anytime during the year, we just pro-rate tuition.